Have you ever looked in the mirror and cried because of what you saw? When I first lost my hair, I would look at my reflection with tears streaming down my face. I would try to utter a word in an attempt to recognize my voice and confirm my identity. 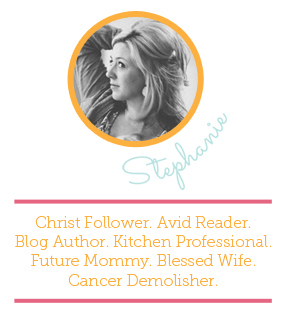 I couldn’t believe that it was me, Stephanie, in the mirror. It didn’t look like me. It barely resembled me. But it was still me. For months I saw a weak, sick, and (dare I say) unattractive person looking back. I looked neither feminine nor masculine. I was balder than bald with not more than a few hairs gracing my body. My face was swollen and discolored. I was embarrassed of my appearance. However, after receiving my pro card for fighting cancer not once nor twice, but four times, my perspective of my reflection changed. Rather than seeing a weak girl in the mirror, I saw a strong one. Instead of seeing sickness, I saw survival. I went from trying to hide my bald to embracing it and wearing it as a badge of honor. 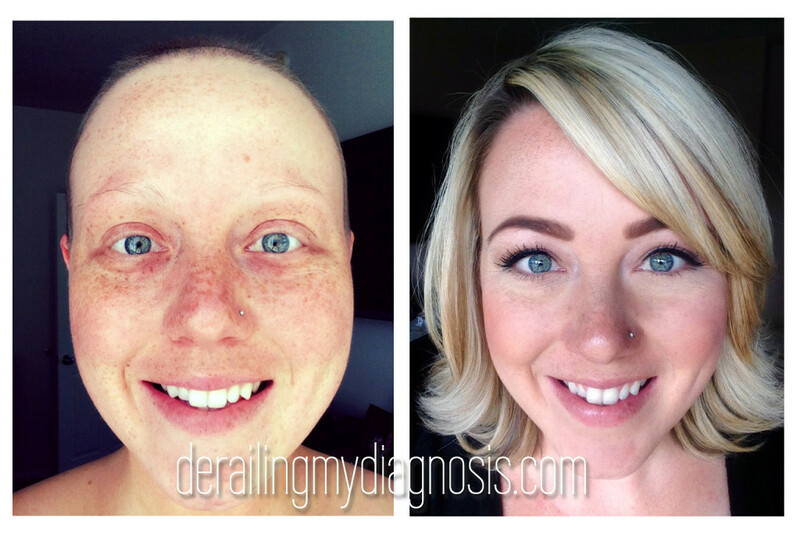 Bald became beautiful to me in more ways than one, yet I still didn’t quite see myself. It took months and maybe years to fully embrace my new look. There were days where my reflection wouldn’t affect me at all, and others where I avoided the mirror at all costs for fear of who was looking back. As a woman, my entire life had revolved around beauty. Society told me that I had to wear a certain size, look a certain way, and have gorgeous hair to boot. Not only did my body physically change through treatment, my hair soon began falling from my head, and I felt far from beautiful. I grieved the appearance of who I once was. I felt that I lost her. I tried wigs in an attempt to bring her back, yet it was never the same. I couldn’t find Stephanie. She was no longer there… Or so I thought. There came a moment when I realized Stephanie wasn’t a look. Stephanie was a person. She was a woman of character and integrity. She had a personality. She was more than a visual. This revelation allowed me to cope with my bald head. I began looking beyond the bald, straight into my eyes. I could still see a faint whisper of Stephanie through the glimmer of blue into the windows of my soul. Though I accepted my new look, I longed for the day when I would easily find myself in the mirror once again. I impatiently awaited her arrival with each passing treatment. I wanted my hair, brows, and lashes back. I wanted my face to return to normal. Not only was I fighting for my life, I was (silly as it may sound) fighting for my reflection. Cancer has a deep and profound effect on one’s identity. I know I’m not alone when I express my grief over the transition of my appearance. Losing my hair was an outward representation of the war being waged within my body. It was a visual reminder of my mortality. I prayed not only to survive cancer, but also to not die without hair. After four treacherous, exhausting, and desperate battles against this disease, I have come out on the other side. I dare not say that I have won, for the implications that arise when those who pass away from cancer are far too hurtful. Let me add, those who have died from this disease did not lose. Too often we hear that someone has “lost” their fight against cancer. What a deeply wounding word to place over someone’s life (and death). Please stop saying it. For reasons I may never fully understand, I have survived this disease thus far. I am now fifteen months cancer-free, and my hair has had nineteen months to grow. It’s been emotional seeing Stephanie return to my reflection. Glorious. Sweet. Incredible. Breathtaking. Emotional. As they did when I didn’t recognize myself in the mirror, tears appear on my face again. Not for the loss of something, but for the gain of something greater. Hindsight is always 20/20. In the midst of our struggles it is difficult to see the entire picture. Due to circumstance, our blinders prohibit us from having a 360 degree view of our life. Not until we walk out of the rubble do we have the opportunity to reflect on the battle. I’ve had time, as each scan returns clear, to see how far I’ve come. Just as I watched Stephanie fade away, I’ve seen her return. My hair is nearly to the length it was when I first heard the words, “You have cancer.” I’m blonde again. My lashes and brows are full. When I look in the mirror, I don’t have to try so hard to find myself. I see Stephanie immediately. But it’s not just Stephanie that I see now. I see strength and victory. I see power and humility. I see joy and unending hope. I see deeply rooted faith. I see a survivor. Though you may not see yourself right now, know that you are more than just a visual. You are not weak. You are not ugly. You are strong, and much braver than you can possibly comprehend. I encourage you to look beyond your reflection. Your hair will return and you’ll recognize yourself once more. Though your outside reflects your struggle, it also reflects your survival.